BPW/St. Petersburg-Pinellas is one of 15 local organizations (LOs) affiliated with the Florida Federation of Business and Professional Women (BPW/FL), which was chartered in 1919. The BPW/FL Public Policy Platform guides our legislative focus. BPW/FL supports legislation which assists women in obtaining pay equity and equal employment opportunities; promotes opportunities for women-owned business; encourages women-owned business to compete at the local, state and federal governmental levels; promotes affordable, quality dependent care to help ensure economic self-sufficiency for women; and, social security reform options that benefit women. BPW/FL supports legislation that ensures clean air, water, soil and energy. We support legislative funding that will ensure the continuation of clean air, water, soil and energy and specific interactions with the environment. We support these environmental concerns as they relate to women’s health, wealth and well-being and recognizing the large impact the environment has on them individually and their families. BPW/FL supports legislation that ensures reproductive choice and full access to all reproductive health education and services, including prescriptions. We support legislative funding and initiatives for women’s heath care needs, with special emphasis on heart disease, stroke, lung cancer and breast cancer early detection, treatment and recovery. We support the expansion of Medicaid in Florida, recognizing that working women and their families have the largest need for affordable and accessible health care. Human beings have the right to be equal in all areas of human endeavor. They have the right to be treated with respect and consideration and to participate on an equal basis with others in any area of economic, social, political, cultural or civil life. All human beings are equal before the law and have the right to equal protection and benefit of the law. Protecting our right to equality requires positive action, including a range of legislative, administrative and policy measures to overcome past discrimination and to accelerate progress towards equality. Over the past few years, the United States and Florida have taken positive steps towards guaranteeing equality for all, yet, there is still work to be done. BPW/FL is committed to ensuring that women are afforded the same freedoms, benefits, and protections from discrimination as all other protected classes in the US Constitution. Specific legislation to be targeted in 2016-2017 includes ratifying the Equal Rights Amendment (ERA). The traditional assumption that males hold rights and females must prove they hold them, shall forever be laid to rest. It is particularly unsettling that the United States of America holds up our democracy for the world to model, yet has not made an effort to assure equal rights for the women in our own society. By working in coalition with other like-minded organizations, BPW/FL will continue to support the passage of the ERA. For over four decades, since the passage of the Equal Pay Act and Title VII of the Civil Rights Act, women continue to earn a lower wage than men for equal labor. Women in Florida rank 37th nationally in employment and earnings. Nationally women are still earning only 78¢ to a man’s dollar. Florida is currently ranked 1st in reaching pay equity. It is anticipated that Florida will reach pay equity in 2038. In a National Partnership for Women and Families 2010 nationwide poll of registered voters, 84% supported “a new law that would provide women more tools to get fair pay in the workplace.” When poll respondents were told that the “law will also make it harder for employers to justify paying different wages for the same work and ensure that businesses that break the law compensate women fairly,” 72% strongly supported such a law. This support was consistent across lines of gender, race, geographic regions, and political parties. Surveyed women believe legislation should protect those who suspect wage discrimination from employer retaliation for discussing salary information with coworkers. BPW/FL continues efforts to secure both national and state equal pay legislation. Eighty percent of all working women think it is either very or somewhat important that stronger affirmative action laws are passed to provide more opportunities for all women. It is vitally important for economic self sufficiency, that women have access to more of the local, state and federal contracting dollars. Women represent only 30% (12 of 40) and 22½% (27 of 120) of the state Senate and House, respectively. Until women are represented equally by our 52% population majority, we cannot expect to reach economic parity or equality. According to the World Health Organization, more than three million children under five die each year from environment related causes. Polluted indoor and outdoor air, contaminated water, lack of adequate sanitation, toxic hazards, disease vectors, ultraviolet radiation, and degraded ecosystems are all important environmental risk factors for children and their mothers. Health-damaging exposure to environmental risks can begin before birth. Lead in air, mercury in food and other chemicals can result in long-term, often irreversible effects, such as infertility, miscarriage, and birth defects. Women’s exposure to pesticides, solvents and persistent organic pollutants may potentially affect the health of the fetus. Additionally, while the overall benefits of breastfeeding are recognized, the health of the newborn may be affected by high levels of contaminants in breast milk. Small children, whose bodies are rapidly developing, are particularly susceptible – and in some instances the health impacts may only emerge later in life. Between 80,000 and 85,000 chemicals are used in the United States daily, yet only 200 have been tested for safety, and of those tested, most have been evaluated for their effects on males only. A study by the Campaign for Safe Cosmetics indicates that women use an average of nine personal care products each day, exposing themselves to a mixture of over 100 individual chemicals. 25% of women (but only one in a hundred men, or 1%) report using an average of 15 products daily. Studies also support that women have a higher exposure to potentially hazardous cleaning chemicals. While gender roles and societal expectations have changed over time, a national study showed that women are still doing over 70% of the housework in the average home. We support research and studies that are better reflective of the effect of chemicals and pollutants on women’s health. We support efforts to clean and improve the quality of air, water, soil and energy so women and their families can lead safer, healthier lives. BPW/FL recognizes that a major change in the healthcare system – the Affordable Care Act – provides for expanded access to the healthcare system. However, we also recognize that many women continue to be denied access to reproductive choice and health services, which are essential to ensure opportunities for women. BPW/FL continues to support legislation that ensures reproductive choice and full access to all reproductive health education and services including prescription contraceptives. We support legislative funding and initiatives for women’s health care with special emphasis on heart disease, stroke, lung cancer, and breast cancer early detection, treatment, and recovery. In addition to legislative advocacy and lobbying efforts in this area, BPW/FL proudly administers a Breast Cancer Scholarship Fund, which provides $250 scholarships for men and women fighting breast cancer. Recognizing that working women and their families have the largest need for affordable and accessible health care and that Florida has the second-highest uninsured rate in the country, we support the expansion of Medicaid to cover the uninsured gap between those who already qualify for Medicaid and those who qualify for subsidies under the Affordable Care Act. 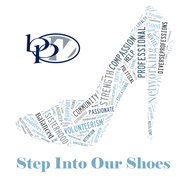 For more information about BPW/FL, click here.